eTribez Casting is working together with TV Globo Brazil, for online casting for ‘The Voice Brasil’. 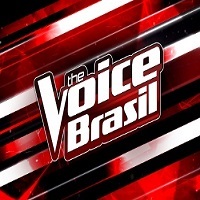 The Voice Brasil originally premiered in 2012. The show’s concept is driven by its title: the coaches judge the artists solely by their vocal ability, and by nothing else. It features four coaches choosing teams of 12 contestants each through a four-episode blind audition process, with the winner competing for the potential to become a worldwide star, and receive a $500,000 Brazilian Real prize and recording contract with Universal Music Group. Casting for The Voice Brasil is ongoing. For a look at the casting URL, see: http://gshow.globo.com/realities/the-voice-brasil/inscricao.html. When you’re looking for that perfect match, who better to find it for you than the people that know you best? That’s the idea behind Season 2 of ‘Meet the Parents’. eTribez will run online casting for the UK-based show along with ITV, and along the way help fun, outgoing people find their ideal partner. No question is off limits on the show, as those looking for romance can ask their potential suitors’ parents anything and everything. Then it’s up to the parents to tell all and say all about their offspring – from their relationship history to heartwarming childhood stories and memories. Holly Willoughby hosts the show. Online casting is ongoing. 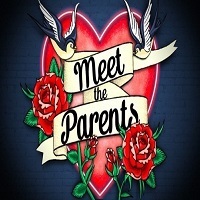 For the casting URL, see: http://www.itv.com/beontv/shows/meettheparentsseries2. 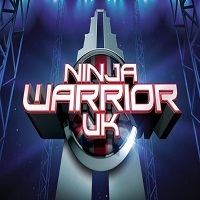 Continuing our success with ITV, eTribez is ready to help look for the next heroic UK warrior, for Series 4 of ‘Ninja Warrior UK’. In this obstacle course game show, contestants swing, fly and jump through the air in superhero fashion…with the intent to take over the world’s toughest obstacle course. eTribez is holding online casting for the show, which runs through June 2nd, 2017. Auditions will be held around the UK in May and June of 2017. Casting for the show is ongoing. For a look at the casting URL, see: https://itv.www.etribez.com/a/itvwarrioruk/warrioruk4/welcome. 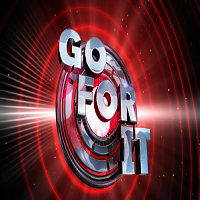 ITV’s exciting game show ‘Go For It’, is on the way for Series 2 in the UK. With eTribez leading the way with online casting, Go For It will look for those who have what it takes to put their unusual skills or talents on display. The ITV Saturday night game show is hosted by Stephen Mulhern, and will look for ordinary people with extraordinary skills. The show’s format is adapted from Challenge Me!, which has been produced in the United States, Netherlands and Ukraine. Contestants will be able to compete in front of the entire nation, and win a large cash prize. Online casting runs through February 28th, 2017. For the casting URL, see: https://itv.www.etribez.com/a/itvchallengeme/goforit2/welcome.